This Chinese New Year, Digi Telecommunications (Digi) hopes to drive home the importance of meaningful connections with a poignant video to remind everyone to cherish those close to us. 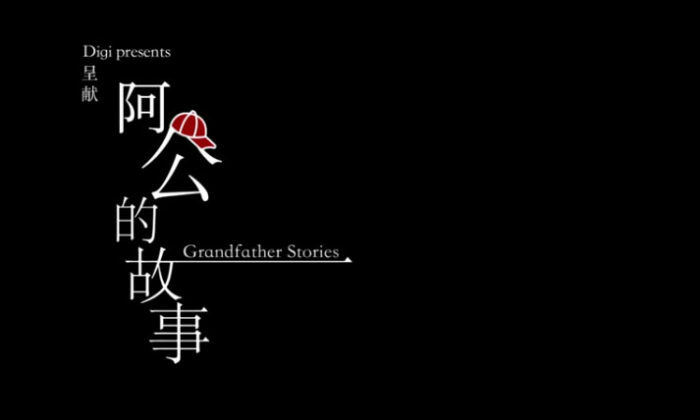 The short film, titled ‘Grandfather Stories’, was inspired by the Chinese saying that ‘wealth never survives three generations’ (“Fu bu guo san dai” in Mandarin). The short film illustrated that instead of wealth, family stories that are passed from one generation to the next are actually the greatest inheritance of all. The video follows the journey of a young boy who eventually overcome his fear of water with the aid of his grandfather’s love and wisdom. Their relationship is at first estranged as he does not understand his grandfather’s odd behaviour but later comes to realise the importance of understanding and respect for our elders who have guided us along the way. Bernard Lee, Digi’s head of marketing services explained that the video hopes to remind today’s energetic yet impatient youngsters to face new challenges with the wisdom and patience of the old, as depicted by the grandfather in this tale. To promote its new media player the Walkman W260, Sony has signed on local chinese boyband ThomasJack to appeal to the Chinese con.. There is a new hitz.fm Morning Crew in town, set to give young listeners more crazy antics and new features. ..
Google will sell these targeted ads to marketers and brands based on data gathered from its other sources such as search and YouTu..